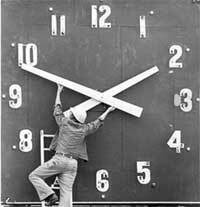 If you’re in the U.S., don’t let the change from daylight saving time (DST) this weekend stress you out (even if you collect clocks). With some careful preparation, you can get through it relatively unscathed. Most people dislike the change to their sleeping habits that comes with the return to standard time. According to WebMD, it’s best to ease into it. Nicholas Rummo, MD, director of the Center for Sleep at Northern Westchester Hospital in Mt. Kisco, N.Y., recommends going to sleep a little bit earlier each night leading up to the changeover. For example, going to sleep 10 minutes earlier each night for six nights will help quite a bit. This is especially helpful for the kids, who often struggle with the change. In fact, this is the same thing my wife and I do as we make the transition from summer vacation to the school year. It works pretty well. WebMD also suggests exposing yourself to sunlight as early as you can. Have breakfast near a window or even walk outdoors for a bit, if you can. This will help reset your internal clock. But really, the best advice I can give here is be prepared. The kids are going to get less sleep then they’re used to, so try to be patient and prepared. Besides sleeping changes, what else is there to do? First of all, confirm that your clocks — both electronic and analog — make the change. Some will do so automatically, like your cable box, computer, smartphone or tablet. Others will need a little help. I always forget about the clock in the car (as well as how to change it). Our microwave oven also spends a few days displaying the wrong time. Also, this is a good time to make sure your home’s smoke detectors are working and replace batteries in your flashlights. The end of DST also marks the start of hurricane season here in New England, so I make a review of our storm food and related supplies each October/early November. With game six of the World Series tonight, football season in high gear, and college basketball season starting this week, I predict a lot of hot wing consumption in Americans’ future. Before you throw your next party (which wouldn’t be complete without hot wings, obviously), check to see if you have these ridiculous unitaskers at hand. 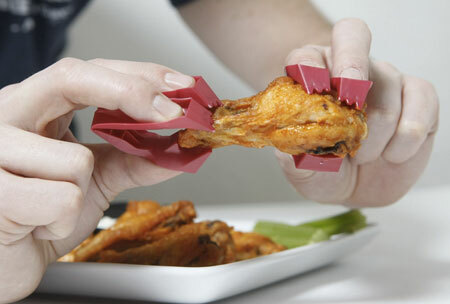 And, your party won’t be complete until you serve your Trong-held wings in the SnacDaddy. Now go on and enjoy watching your favorite sports activity knowing your festivities are sure to be unitasker-riffic! Thanks to Amanda for helping us track down these hot wing unitaskers. We’re very excited. Today Amazon launched Kindle MatchBook, which lets you upgrade your previous Amazon.com print-edition book purchases for select titles to the corresponding ebook versions. The upgrade pricing varies. Some titles have free upgrades, while others are priced as high as $2.99. 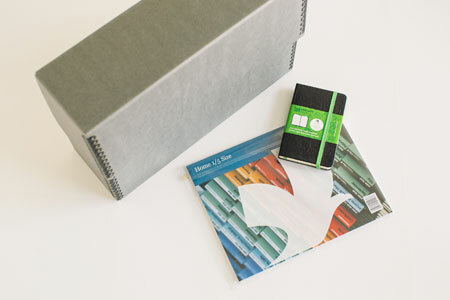 This is a great way to reduce the physical space required for storing books you currently own. Having your books in an ebook format also allows you to reference them while on-the-go. A relatively small number of titles are currently available for upgrade, but more are sure to be released in the coming months. If you don’t already own an ebook reader, our current pick is the new Kindle Paperwhite. The new next-gen backlight is very easy on the eyes. I think almost every home has a drawer with random keys and locks in it. For many, the locks may be without keys or combinations and the keys are to known and unknown locks. 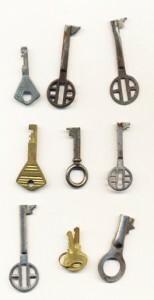 The first step in organising keys and locks is to gather them all in one place. I suggest using a small, lidded bin, such as a shoebox. Place all the locks and keys in the bin. You may have lockable cabinets or doors that require keys. Of course, you can’t put furniture into the shoebox but you can make a list of furniture that require keys and put the list in the shoebox, too. Purchase a few key tags and write what the key is for on the key tag right away and attach the tag to the key. If padlocks are not in use, put the hasp through the key ring with the keys and lock it. This will keep the correct keys with the correct lock. Just remove one of the keys from the keyring to unlock the lock. If you have combination locks, write down the combination on a key tag with a description of the combination lock and/or its serial number. If the locks are simple, such as suitcase locks with only 3 or 4 numbers, you may be able to fiddle with it enough to determine the combination. Some rotary dial combination locks have serial numbers and you can get the combination by contacting the manufacturer. If the combination lock is not in use, put the hasp through the key tag on which you wrote the combination. You’ll never worry about trying to remember the combination. Store keys that are used frequently close to where they are used. For example, you might keep a key to your garden shed on a hook, just inside the back door. Extra house keys should be labelled and stored in a key cabinet. Keep mismatched keys and locks in the labeled shoebox for a few months just in case their mates turn up somewhere else. It is also helpful to ask family members and coworkers if they have seen any keys or locks “hiding” anywhere. You may find someone else is in possession of the little key you were looking for. Ask them, too, if one of the keys you can’t identify may be a spare key to their home you never labeled. If you’ve determined that the keys and locks are never going to find their mates, feel free to dispose of them. Remember, also, to carry only the keys you need with you. Separate the keys you carry with you into groups such as home, car, office, or cottage. Put each set on a different ring. Clip the key groups you need together with a carabineer when you leave the house to reduce the clutter in purses and pockets. Most weeks, I feel inspired by the unitasker to write something funny about it. This week, words escape me. We wrote about actor Vincent Kartheiser and his obsession with minimalism in our 2010 article “Celebrity minimalist: Vincent Kartheiser.” Back then, he was just beginning construction on his new home and admitted to using his neighbor’s bathroom because he threw out his toilet. Three years later, construction on Kartheiser’s space is complete and the beautiful renovations are featured in the article “The Tiny Hollywood Home of Mad Men’s Vincent Kartheiser” in Dwell magazine’s November 2013 issue. The bed on pulleys with 300 pound counterweights is sheer genius, and the headboard (a large piece of redwood) is on a lever so it can fold down during the day to serve as a desk or sideboard. Another small-space idea that caught my attention in the article is his outdoor coffee table that is also a fire pit. The sliding closet doors that become a privacy wall for the bathroom is a nice touch, too. Technically a one-room cabin at just 500 sq feet, Kartheiser remade the home and outdoor courtyard with builder Funn Roberts. It doesn’t say it directly, but the article seems to imply Kartheiser even shares this tiny space with his fiancée, actress Alexis Bledel. What was in Unclutterer’s second Quarterly mailing? All over the world, subscribers to the Unclutterer shipment from Quarterly have received their second mailing from us. If you didn’t subscribe to the second mailing, but were curious as to what we sent, I’ve detailed the contents below. Each box is sent with a letter from our team, and PJ penned the second one. As if a secret agent on a mission, he discussed the theme of the mailing — paper control — and how to use the items contained in the box. What was in the box? If you’re interested, we have a third mailing coming out in the next quarter (and then a fourth and a fifth …). We’re really excited about the next mailing and how it can help people wanting to organize their lives. Sign up if you want to subscribe to the organizing shipments. If not, we’re totally cool with that, too. 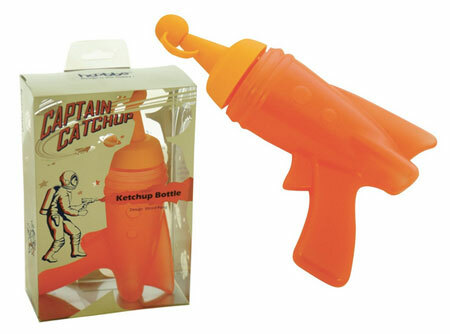 Way back in 2008, we featured the dangerous Condiment Gun in our unitasker column. Little did we know at the time, but the threat of ketchup being shot at your food from a .45 revolver was only the beginning of the menace. And, obviously, you’ll also want to order the shotgun shell salt and pepper shakers and the Gun Egg Fryer to complete your violent meal package! As the seasons change, it’s time to switch out the clothes. It’s a labor-intensive process that not many people like, honestly, but some early preparation can make the process a bit smoother. In the northern hemisphere, we’re currently moving from warmer weather to cooler temperatures, but the following advice applies for those of you in the southern hemisphere moving into warmer months. Before you buy any storage containers, plastic bags, or similar items, get your hands on a label maker. It’s the most useful tool for this project. We have one of these handheld models because its easy to carry around. When you get to the bin stage, you’ll want the label maker to label whose clothes are in which bin and to note the contents (“Jane’s winter clothes,” “Dave’s sweaters,” etc.). My wife and I have tried two brands of vacuum bags, and neither have worked for us. Despite following the instructions to the letter, both brands began filling with air within a matter of weeks, defeating their purpose entirely. If you’ve had good luck with a particular brand, please let me know. For us, the answer is large, plastic bins. 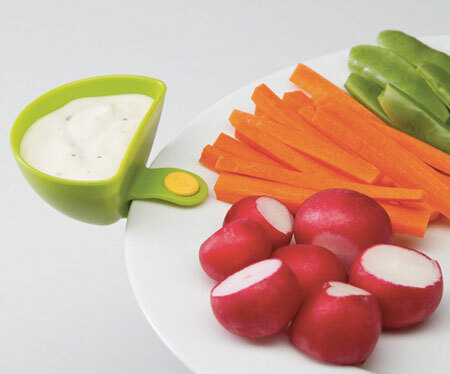 You can find these at home supply stores, some hardware stores and big-brand DIY stores like Home Depot or Lowe’s. Make sure the lids seal tightly and that they’ll work with your storage method before buying (stackable, side-by-side and so on). Before placing clothes inside, ensure that they’re thoroughly clean. Locking your shirts in a sealed bin with some insect larvae you didn’t notice in September means you’ve created an all-you-can-eat bug buffet for little critters. Check the bins themselves for the same thing. If you are using plastic bags, ensure that no moisture is inside and there’s no chance of condensation. Throw in a few cedar balls and/or natural herbal moth repellent sachets for a little more protection. Do not store clothes in thin plastic dry cleaning bags for long periods of time as the plastic can decay and ruin your items. Here’s a lesson I learned the hard way: a hanger is not a good long-term solution. When I was living on my own as a bright-eyed 20 year old, I kept several sweaters hanging all summer. Once fall arrived, they all had hanger-induced bumps on the shoulders that would not go away. If you don’t have any other option, fold the items and hang them in their folded state over the straight bar of the hanger and then group the hangers inside a garment bag made to repel moths and other fabric-eating insects. When stacking heavy objects like sweaters in a bin, put them at the bottom of the pile. That way they won’t crush lighter items, allow air flow, and prevent mustiness. Finally, check on your clothes once a month to make sure that none of the aforementioned problems have cropped up.